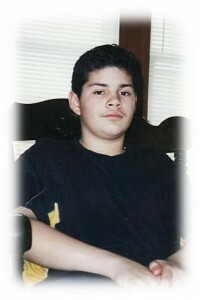 Young Ruben Pulido who was shot and killed alongside his good friend, Mark Lopez in 2000. Both boys had been playing basketball in their front yard and were sitting in the front porch in suburban Chicago. The parents of these two fine young men were very proud of the fact that they were good and stayed out of gangs and yet they were targeted by two killers who were simply looking for someone to shoot. The 19 year-old killer ordered a 16 year-old to “light them up.” They both died with a single bullet each in their hearts. 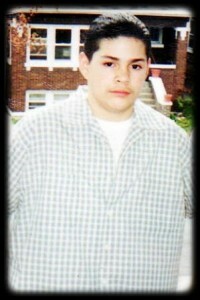 One of the killers is a juvenile lifer. Rueben and Mark’s parents, siblings, and extended family have stood together in both devastation and tears that they want to make sure that these murderers never walk free, and that they do not have to spend the rest of their lives fighting to keep them where the law has sent them – to prison for life – for taking deliberately and casually the lives of these two promising young men who were greatly loved by their families. Some sad news hit home today for Steve (my love). His cousin was murdered – by several high-school students in New York last night. The papers say they caught all of the offenders and they would be charged as adults, but we all know – that may not mean much. I”m not sure what the laws are in NY for JLWOP. His brother (the victims), and entire family is obviously taking this hard. Since this is so fresh they are talking to NY Media alot right now. If you google the name Marcello Lucero, article after article will come up. I’m going to try and give him your info/website. Maybe he can spread the word in NY about the fight you are fighting here in IL for everyone across America. Steve feels kind of lost right now not knowing what could be done to help or what kind of advise to offer his surviving family in NY.